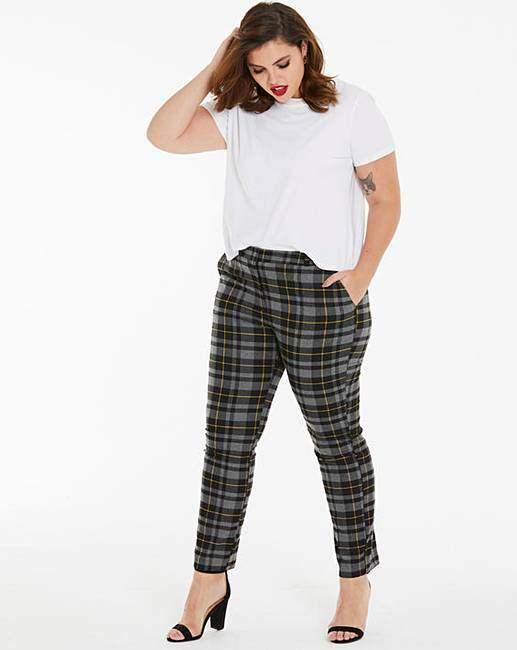 Stretch tailored fabric in a fab check design. Back elasticated waist for fit. Two front slant pockets. Zip, hook and bar front fastening. Tapered leg shape, looks great with flats or heels. 64% Polyester, 34% Viscose, 3% Elastane.